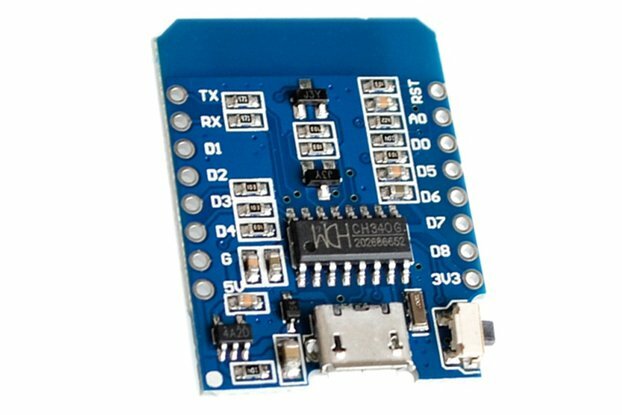 ESP8266 12-E/12-F Removable Arduino IDE compatible development board ,ESP-12E module and USB data cable included. Welcome to my Shop! Please dont hesitate to ask me any question. 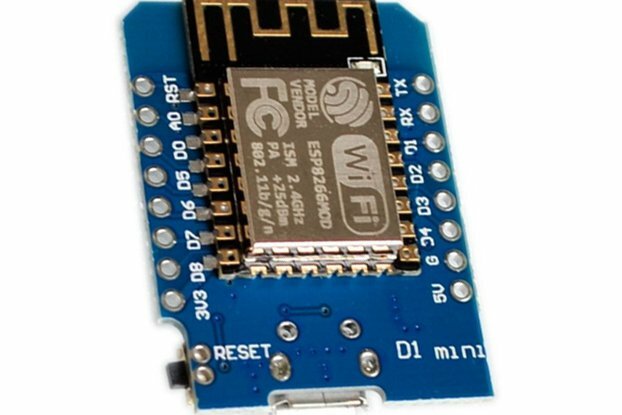 The ESP8266 is a cost-effective, and very capable WiFi-enabled microcontroller! 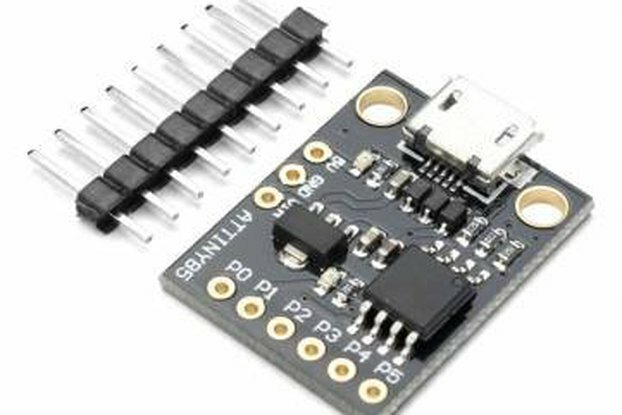 After ESP01 (few GPIO pins) there are many ESP based module in the market but most popular one would be ESP-12E/12F. And most the Development boards doesn’t allow you to remove ESP module from the board! 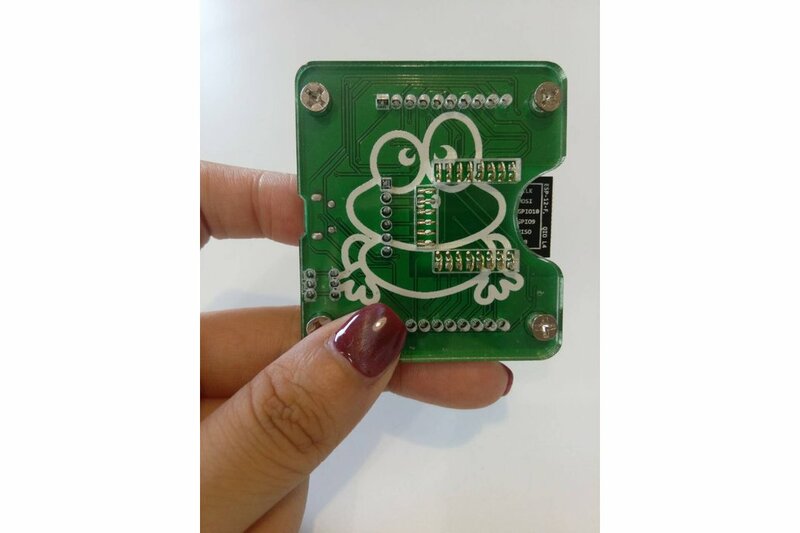 To take advantage of all of those benefits, we’ve created ESP-8266 (12E & 12F) Frog Board; We call it Frogo Pins!! – an ESP8266 development board, with an integrated FTDI USB-to-Serial chip and its removable!! We are not kidding!! It is removable. Thanks to its auto reset functionality you don’t have to keep holding Flash/Boot button while uploading the sketch on Arduino IDE. Choose NodeMCU/Wemos D1 Mini board to enjoy auto reset function in Arduino IDE. The board definitions and tools for the ESP8266 include a whole new set of gcc, g++, and other reasonably large, compiled binaries, so it may take a few minutes to download and install (the archived file is ~110MB). Once the installation has completed, an Arduino-blue “INSTALLED” will appear next to the entry. Selecting the ESP8266 Frog Board With the Board add-on installed, all that’s left to do is select “NodeMCU” from the Tools > Boards menu. Note: I dont want to earn profit from this product , but there is a payment processing fee and Tindie fee therefore I have no choice but to increase product price. If you like this product please give a good review and refer to your friends. Thank you! Tracking available , If you don't want tracking please let me know ! you will be able to save a dollar! but its not recommended. I had some esp12F's lying around and wanted to do something with them. 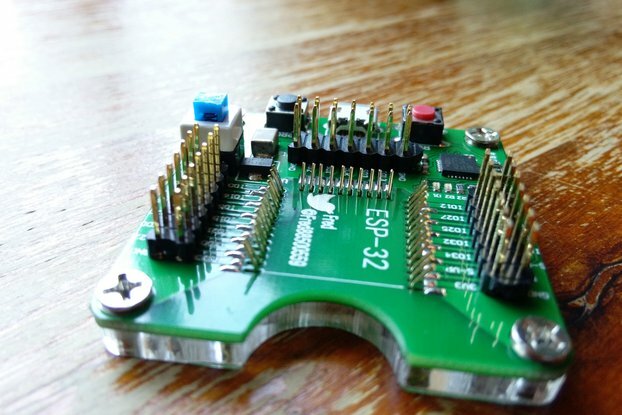 But i didn't want to solder them every time i wanted to change something or use a fixed board adapter. So in short words this is very cool. I would even say one of the coolest things I have in my collection. Simply awesome, way better than my jerry-rigged alternative! The Frog Board is perfect for anyone who is interested in using the inexpensive ESP8266 module for their IoT projects. After I first became interested in the ESP8266, I spent a lot of time trying (and failed) to figure out how to upload sketches without having the module soldered to a breadboard adapter (or as part of a more expensive development board). The Frog Board is a much simpler and much more elegant solution than mine and does not require any soldering to upload sketches. Moreover, the integrated FTDI makes it quite easy to program. I was able to upload several of my test sketches on 3 different modules within 15-20 min. The only (minor) trouble I had was in making sure the frog pins attached to the correct locations before snapping the module down (more a problem of my aging vision than anything else). 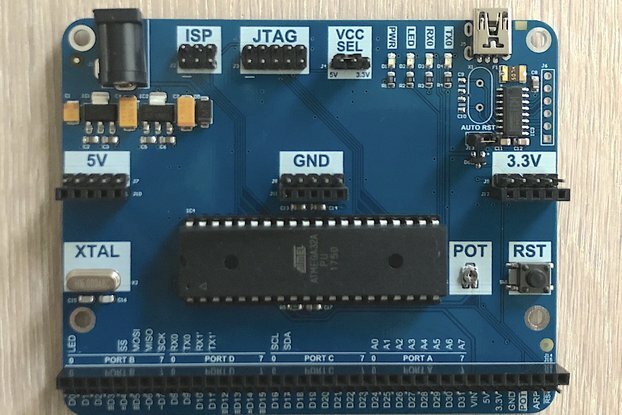 The documentation was a bit sparse for someone who is completely new to the ESP8266, but anyone who has experience using one of the many available ESP8266 development boards will figure it out quickly and be delighted. where to go to see how to setup using the board. As I said the board is really great and made really well. The acrylic backing is great. Thank you for making it. I saw this board being reviewed by Seon on "Unexpected Maker" YouTube and ordered one immediately. It came quite fast in the post and after a bit of finagling I figured out what I was doing wrong. Make sure you select NodeMCU and it will program fine. Right off from the start I programmed 3 boards in just a few minutes. I couldn't be happier. Money well spent. This review is about my second Frog Board, I liked the first one so much I bought another one. It is so simple to use just push the esp8266 into place and away you go, I love the on-board power switch and the on-board reset switch. With it's inbuilt power regulator you can simply power it through the USB connection on the board from any decent USB port or power supply. It's perfect to quickly swap from one esp to another allowing you to program a batch of them with ease, the only reason I bought a second one was because I needed two esp's on at the same time and didn't want to solder them onto a Veroboard straight away, whilst I was still trying things out. Just tested it, and it works! Tested and confirmed working on ESP-12E, ESP-12F and ESP-07S. It's easy to fit a ESP-07S board although it do not have the bottom connectors.
! !Remember to read the instructions, so you select the correct board!! I struggled a minute or two before I read it. But, easy as pie! I plan to upload OTA code my ESPs and solder them to a PCB. Excellent tool for that. It comes with a micro USB cable. I ordered the board and it was shipped on 23 April and arrived 22 May which is ok as you cannot get these boards (or anything like them) anywhere else. Comms we ok too. The board is well built and sturdy. The flexible pins work really well allowing the ESP8266 to be 'snapped' in and out easily. The board uses a CH340G USB to Serial chip which, on a Mac at least, requires a driver. https://sparks.gogo.co.nz/ch340.html provided the required info and download links. Take note of the versions on MacOSX Sierra as it really does crash your Mac when you plug the board in! Now looking forward to building some cool hacks with MicroPython. Shipping took bit more time since there is no cheap shipping for my country from china, but it arrived at the end and it's great board to use. An excellent product for the ESP-12E module. I was looking for a way to test and experiment with some discount ESP-12E modules bought on-line. The ESP8266 Frog Board was the only solution I found that offered a great price and had the features I wanted. I ordered one and was not disappointed when it quickly arrived in good quality packaging. Inside was the Frog Board, a convenient USB data connection cable and a ESP8266MOD module inserted onto the board. The quality of the printed circuit board looks good, the Plexiglas base is useful and the white printed frog graphic is a nice touch. Plugging the board into a USB power stick I pushed the board's power button and the ubiquitous blink program started flashing the ESP-12E's blue LED. I swapped in all the ESP-12 modules I have and easily tested them using the Arduino IDE. The Frog board has all the features I wanted and was really the only piece of hardware available that does the job for me. It is a quality solution for the ESP12E module. Do not ask anything to him! He has no idea what talk about ! He cancelled my esp32 board purchase only because I´ve asked him to send me the tracking number. The perfect ESP8266 dev board! Ordered on the 24th of December, arrived on the 11th of January in Germany - considering all the holidays inbetween, that was really fast. Unfortunately the plastic case with the frog on it is way too cute, so my girlfriend wanted to have it - and I could not say no. Comes with an ESP-12E chip and USB cable nicely packaged in a little case. The on/off switch is also a usefull little feature.